It's no secret that eating fruits and vegetables on a daily basis can prove to be quite beneficial for your health. Rich in vitamins and nutrients, these foods contain all that you need to lead a healthy lifestyle. However, researchers are now saying that solely eating multicoloured food is not enough for good health, you also need to keep the amount you consume in mind. So, say you're only eating green foods like spinach, broccoli and okra, you'll still miss out on some key nutrients that other coloured foods can provide you with. "People will say, 'I'm taking a multivitamin, so I don't really need to eat these,' " says Karin Hosenfeld, RD, LD, a dietitian. "We do know for sure that if you don't eat your fruits and vegetables, you're not getting your fiber, and that's [helping keep] your blood sugar down." She also added that when you eat an array of multicoloured foods, you get all their benefits. 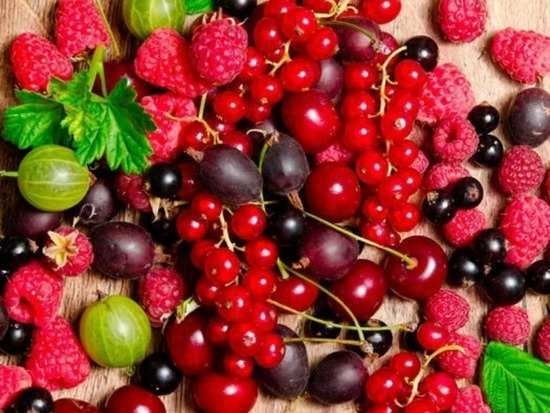 Red/Purple/Blue foods - These foods are known to help with heart-related conditions and can decrease the risk of macular degeneration, certain types of cancer, and stroke. They're also rich in Vitamin C and have plenty of fibre. Orange/Yellow - These foods contain Vitamin A which can help improve eyesight and can even fight cancer and give you good and healthy skin. They also contain Vitamin C and bromelain, which is an enzyme that can work wonders in curing indigestion. Green - Apart from being rich in calcium, these are also known to contain Vitamin A and Vitamin C. Apart from this they also contain Vitamin K and essential minerals. White - While most dietitians recommend that a diet comprising solely of white foods should be avoided, some of these white foods contain Vitamin C, folic acid, and fibre. Apart from this, a few of them also contain riboflavin (vitamin B2) and niacin which can help make you feel full.